Gender tension and gender differences are a re-occurring situation in today’s society, that continue to effect individuals and their lifestyle. There have been many previous issues dealing with this factor, as far back as history can take us. Gender differences deals with the way that females and males interact with one another, and how society looks at them differently. Gender differences focuses on the difference in jobs that males and females have and the role that is played in society, which creates gender tension. 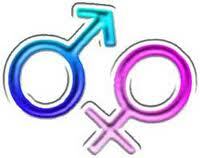 Gender is a variety of individualities used to distinguish between males and females. Gender refers to the socially constructed roles, behaviors, activities, and attributes that a given society considers appropriate for men and women. Gender differences appear to exist in communicating. Gender identity is how you feel about and express your gender. Some examples of gender characteristics are women earn less money than men for similar work. Many more men than women smoke, as female smoking has not traditionally been considered appropriate. Men are allowed to drive cars while women are not. In most of the world, women do more housework than men. Culture determines gender roles and what is masculine and feminine. Gender includes beliefs, behaviors, and characteristics. How do you act, talk, and behave like a woman or man? 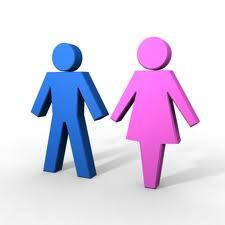 Gender refers to society's expectations about how we should think and act as girls and boys, and women and men. Gender identity is how we feel about and express our gender and gender roles — clothing, behavior, and personal appearance. Gender roles are the way people act, what they do and say, to express being a girl or a boy, a woman or a man. These characteristics are shaped by society. Gender roles vary greatly from one culture to the next, from one ethnic group to the next, and from one social class to another. But every culture has gender roles — they all have expectations for the way women and men, girls and boys, should dress, behave, and look. There are some gender differences in social behaviors. The differences in the way women’s and men’s brains are structured and in the way they react to events. Some examples of difference between men’s and women’s brain are human relationships, reaction to stress, emotions, and pain. Women are likely to communicate more effectively than men. They more focus on how to create a solution that works for the group, talking through issues, whereas men are likely to be more task-oriented, less talkative, and more out-of-the-way. Men are likely to have a fight to fight response to stress situations while women seem to solve these situations. Women are more in touch with their feelings and better able to express them, which promotes bonding with others, whereas men are different. Men have a more difficult time understanding emotions. Men and women understand/feel pain differently. Women are also more likely to express their pain and to seek treatment for their pain than are men. This difference clarifies why women observe pain more deeply than men. Based on the information given above, it is evident that these differences explain why men and women sometimes have difficulty communicating and why men-to-men friendships look different from friendships among women. Gender tension and gender differences appear a lot when it comes to different religions and their beliefs. Many religions believe in the fact that men are more powerful and they hold more responsibility especially when it comes to income and supporting a family. In many religions it is mandatory for males to be working and bringing in income, where as females are meant to take care of the household duties on a day to day basis. Studies have shown that women are more likely than men to do cleaning and cooking, even within religious settings such as a church. Men, are more likely to be more involved in speaking and communicating ideas with individuals, such as in a church setting a male participates in worship services and reading to the congregation. Many religions have a lot of gender differences that are still present to this day. Another example is the practice of Polygamy which is a marriage that involves more than just two partners. This encouraged in some religions, where men are able to have a certain number of wives, where as women are not able to do so. It is obvious that men have always had more power when it comes to decision-making and many religions believe that, that’s how it should be. Gender differences in religion do not necessarily cause gender tension because it has become a lifestyle than individuals are used to and have been taught is the right way. A lot of religions consider men responsible and in charge, where as women are looked at as a support system that focus on the smaller aspects of life. Which style is more appropriate for today’s team-based management? Verbal communication includes speaking, words, language and sound. There are two types of verbal communications (oral and written communications). Oral communication - Oral communication minimizes misunderstandings, but provides no written record. Oral communication can be face to face communication; it can be a conversation over the phone, on the voice chat, and/or over the internet. Written communication- occurs when two communicators cannot see or hear each other. It is a communication that includes e-mail, announcements, memos, faxes, letters, newsletters, reports, proposals, manuals, presentations, and resumes. Non-verbal communication includes the body language of a person who is speaking. Non-verbal behavior includes eye contact, facial expression, posture, gestures, and the use of time, space, and territory. Based on the information given above, it is evident that communication is a procedure that involves an exchange of information, thoughts, ideas and emotions. Communication process is complete once the receiver has understood the message of the sender. Information exchanged between people via words, gestures/signs and body language. Guffey, M. E., Rhodes, K., & Rogin, P. (2011). Business Communication process and product. Toronto: Nelson. 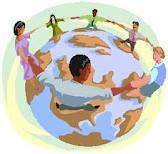 All groups, societies, have a culture. This information talks about Cultural Influence. Every person is shaped by their culture. Expectations about characteristics and behaviors appropriate to women or men and about the relations between women and men are shaped by culture. Gender identities and gender relations are serious aspects of culture because they shape the way daily life is. For an example, a person may actively resist their culture: the man who wants to cry in a culture where ' big boys don't cry'. Mourning fulfills the responsibilities of others; it emphasizes the external expressions of grief. In some countries, the well-to-do woman was expected to mourn the death of her husband's father for a longer period than the death of her own baby. Talking about role of mourners, upper-class females were not allowed to attend any social events for the specified period of mourning. 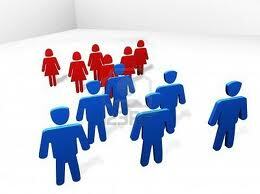 Gender is the social identity of men as well as women. The way there are cultural norms and expectations about women’s roles, there are also cultural norms and expectations of men as leaders, husbands, sons and lovers that are shaped by their behavior. Every different groups, societies, and communities have their own beliefs. Cultural background can also affect how a person understands and approach the sorrow procedure. Culture is the behaviors and beliefs characteristic of a particular social, ethnic, or age group. Culture teaches people how to behave, and it conditions their reactions. Discrimination exists all over the world, especially when it comes to differences in gender, and the roles of males and females. Women are discriminated against everyday when it comes to their ability to work, their responsibilities, and knowledge. In workplaces women are assigned lower paying jobs, and careers that generally focus on caring for others such as nursing. This effects the self-confidence in women which could possibly drive them to be less determined to succeed, as they are not given equal chances to prove themselves. History also portrays discrimination towards women, such as the amount of female leaders that were present. 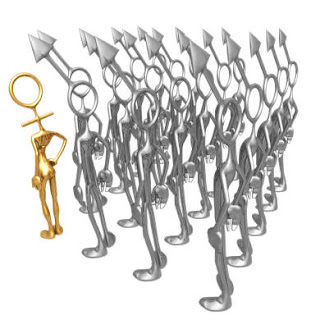 Even though many individuals agree that women can be effective leaders, people do not hold female leaders in as high regard or evaluate them as favorably as male leaders. Even though today there are more female leaders present, there is still not an equal amount of women present that have authority as there are men. Women are also discriminated against when it comes to specific jobs because they are categorized as being “weak” and incapable of being able to perform the same as men. This is because society has made it okay for individuals to think like this. Women have been taught that their role in society is different from the role of males, which causes gender tension and creates a lot of competition. Women are still fighting to be equal, and to have an equal opportunity in the workplace as well as in society.